Home » Favorite Things » Other » Epoxy Grout – Laticrete SpectraLOCK Pro! Epoxy Grout – Laticrete SpectraLOCK Pro! There is nothing more satisfying than finishing a beautiful tile layout. However, there is also nothing more annoying than having a great job ruined by the stains that are almost sure to come. Even diligently applying sealer on a regular schedule can not stand up to some accidents that may happen. To solve this problem, I use epoxy grout – specifically, SpectraLock’s epoxy grout. 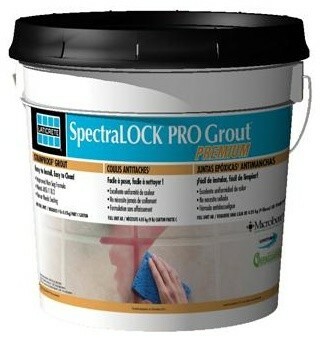 So what is SpectraLOCK epoxy grout? Well, as its name implies, it is an epoxy grout. It comes as a three part system (with parts A and B being the epoxy additives – shown above – and part C being the colorant sand). I can’t stress enough how much I have come to love this product. It has held its own with the rough treatment that my family can put a floor through, and what’s more, it looks just a great years after installing as it does on the first day. But to be fair, let’s go over the pros AND the cons for using epoxy grout. It’s very resistant to water and other liquids. It’s resistant to stains – well beyond what you can get from a sealer. It has micro ban which makes it resistant to mold and mildew. It’s flexible and does not crack the way that a typical grout can. It will look new long after it has become old. A sealer is not needed for epoxy grouts. They are perfect for areas where the potential for becoming wet is a problem. 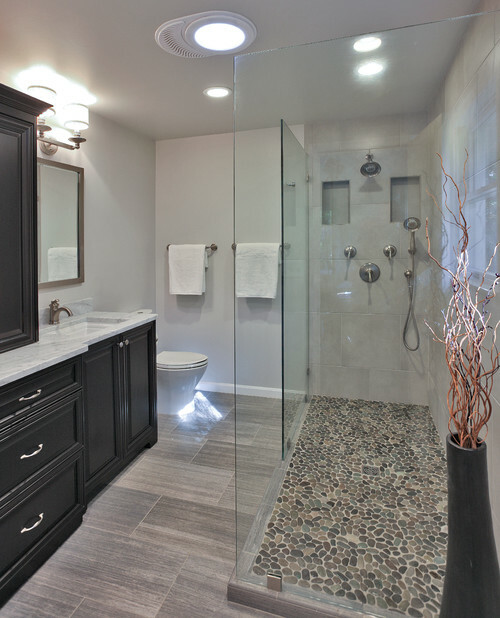 Cost – it is significantly more expensive than a typical grout. Installation requires a bit more time and effort. So now that we have covered what I see as the Pros and Cons, let’s go over the Cons in more detail. Obviously, if you are on a tight budget you may want to think hard before choosing to use an epoxy grout. What I prefer to do is to use the SpectraLOCK in small areas, such as shower floors. Sometimes, I use it for kitchen backslashes, or even an entire small bathroom. Carefully picking and choosing the areas for epoxy grout can allow you to keep your tiles looking great without breaking the bank. 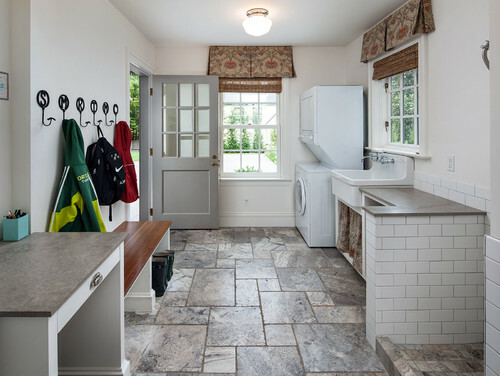 Areas that you may want to hone in on are places where children will frequently use, or areas where you want to eliminate the need for maintenance. You may also want to consider epoxy grout for your more expensive tiles. Epoxy grout for areas where your pets will be confined may earn you the biggest return on your money. Using the SpectraLOCK in your pet zone can give you protection that is on par with a solid linoleum flooring – assuming, of course, that the tile is also resistant. This is probably the biggest plus for using epoxy grout. Although I listed some special installation time and efforts as a Con, I really don’t see this as a big thing. However, it does deserve mentioning. There are just a few things that you need to know and keep in mind when using epoxy grout. 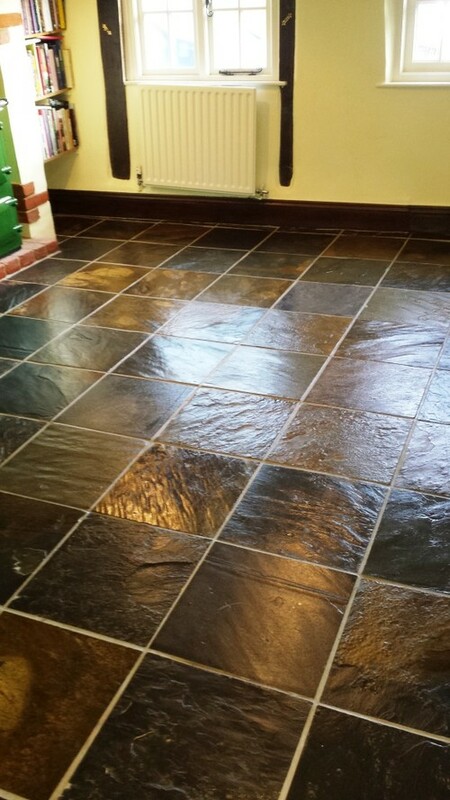 If you are going to be using a tile that requires sealant – such as slate or travertine – you should seal them prior to installing them. Why, you say? Well, the sealer will not penetrate through the epoxy grout. So, you will get a much better result along the edges if you seal the tile before installing them. You will need to use vinegar mixed with your water to clean up the epoxy grout. Now, this is probably the most important part of using this special grout. If you do not have a bucket of vinegar/water near by, you will quickly come to regret it. The epoxy will set up into a sticky mess that is hard to remove. So, you will want to keep that bucket close at hand to wipe as you go. And that brings me to the next point. 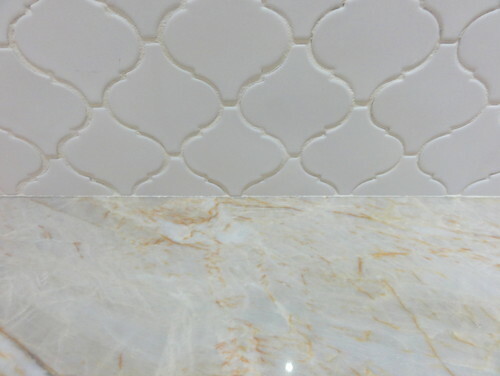 With this grout, you not be able to let it develop a haze, as you would with a regular grout. You will actually be doing a COMPLETE clean up on the tiles as you go. For this reason, I always mix my batches in small amounts. (i.e. no more than I can spread and clean up within a 20 minute span). Yes, this can seem to take some extra time. But in reality, you are just doing all the individual steps of a typical grout in one phase. So, although it may seem as though there is more work going into this grout, I have found that it takes no longer. In fact, I feel that getting all the clean up over with as I go is much nicer than having to go back the next day and scrub away the haze. THOROUGHLY clean as you go. Now, where can you get this great stuff. Well, I have found it at Lowes, although they tend to only carry small amounts. You can get it at Amazon, or you may look for other distribution centers through their website. Finally, If you have never used epoxy grout before, you will be amazed at its ability to repel liquids. Now, go grout some tile!